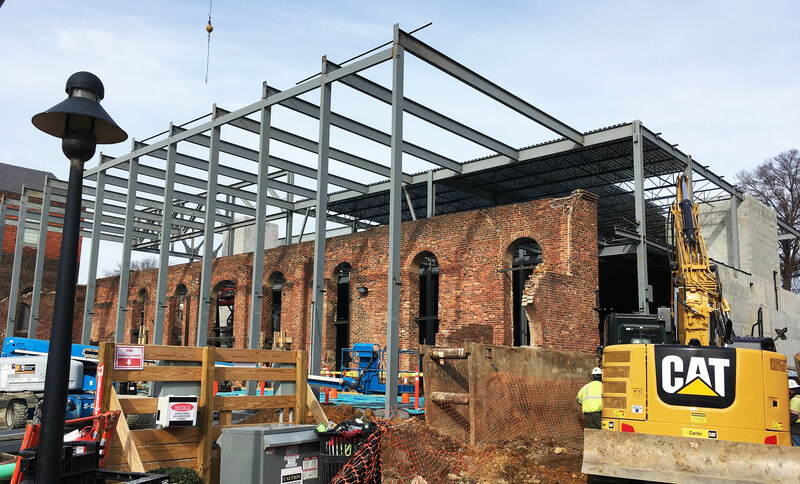 The steel framework was erected this week at the American Civil War Museum. 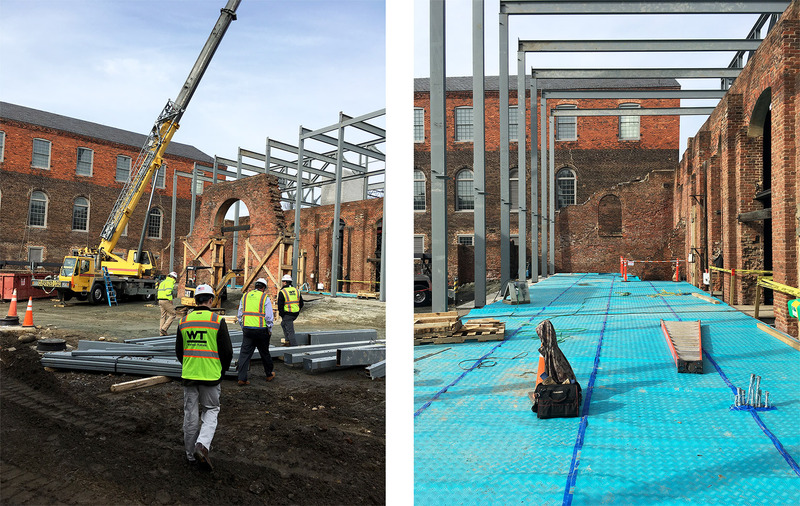 Ultimately the framework will support the glass encasement of the ruin wall and form the museum’s new lobby. The pop of turquoise below is temporary, of course; it’s the protective covering for the lobby’s new concrete floor.